Incorporating successful strategies from years of experience working with high-profile clients and companies such as Chanel, Proctor & Gamble and Whitbread, she will help you visualise the life you want. Learn how to create a one-year-plan that can be broken down into month-size pieces to help you clarify your goals and stay focused. This book will show you how to navigate change successfully so that you can turn a potential crisis into an exciting adventure and create the life and career you really want. Dr Nicola Bunting is a personal and professional coach and founder of the international bespoke coaching company La Vita Nuova. She is one of only 1 per cent of coaches to have attained the Master Certified Coach Credential from the ICF (International Coach Federation). Nicola's clients include top executives, celebrities, business leaders and people who want to get more out of their life and work. She has been profiled in Director, the Evening Standard, Harpers & Queen, Woman & Home, The London Magazine, and Good Health, among other publications, and is the chosen coach for Quintessentially, the world's leading luxury lifestyle management company. Nicola lives in Bath and is available for interviews, and is happy to write features on any themes discussed in her new book - Who Do You Want To Be? 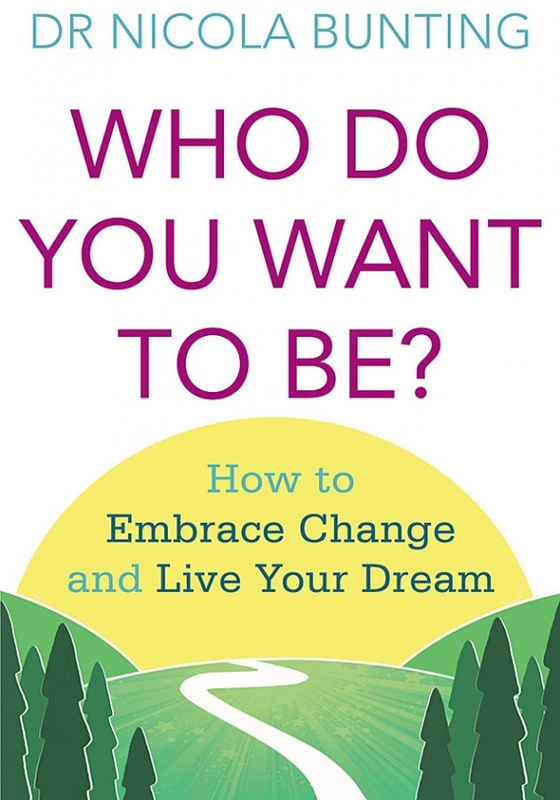 : How to embrace change and live your dream.